Poison prevention is not just an issue that needs to be considered at home, but anywhere where young children visit. Child care facilities commonly ask us for information about general poison prevention advice, and issues specifically related to potential child poisoning in their centres. Playdough can contain high amounts of salt. Home made playdough (depending on the recipe) can contain very high amounts of salt compared to commercial varieties. As little as 10 g of home made playdough (50% salt) would require medical assessment. If possible always choose a commercial product or homemade recipe with lower amounts of salt. Children's art paints are usually water or acrylic-based, and are of low toxicity. Glues such as children's paste and pva glue are of low toxicity also. Small ingestion of these products is not normally of concern. Many everyday objects can pose a risk of choking or gastrointestinal blockage. Objects with additional concerns include button batteries, magnets, expandable toys, and sharp objects like nails. Further information can be obtained by reading the article below. 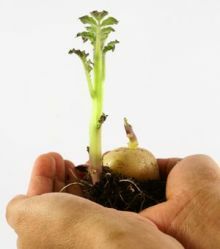 Potatoes are commonly used as an aid to show children how plants grow. However, the green parts of the plant and the berries are toxic. A carrot is a good alternative as all parts are non-toxic. Potatoes are also used as potato stamps. The ripe tubers are non-toxic, so as long as there are no green parts to the tuber it is fine to use. Swan plants are useful tools to teach children about lifecycles. Children should be under constant supervision around swan plants as any ingestion warrants medical attention. Further information about swan plants can be found by reading the article below. Plants that are grown in child care centres need to be chosen with care. There is a list produced by Landcare research of plants that should not be tolerated in preschools. A further list regarding plants poisonous to children is also available. These lists are not an exhaustive list of plants that can cause poisoning. For information on other plants, contact the National Poisons Centre with the botanical name for further information. For general information about poisonous plants, read the article below. Fungi can also be of concern. They usually appear during autumn and spring. It is very difficult to identify the toxic fungi from the non-toxic ones. Any ingestion requires medical assessment by a doctor and administration of activated charcoal. To avoid a mushroom ingestion a "fungi sweep" should be done each morning before children arrive at the child care centre. This involves a visual sweep of the garden area, and then removal of any fungi that have popped up over night. Read the below article for further information on poisonous mushrooms in New Zealand. Head lice is a common problem in New Zealand schools. There are many products available from pharmacies. Unfortunately many other products are being used that have not been tested on humans and may cause toxic effects. Further information is available by reading the article below. All standard poisoning prevention guidelines should also be applied to childcare facilities. There are many articles and resources on this website for general poison prevention. Browse through the articles & information, and the educator resources for information.